When I painted this, I was thinking about the beauty of things we can't even see with the naked eye. Not just their visual beauty but the beauty in the organisation of how nature works. 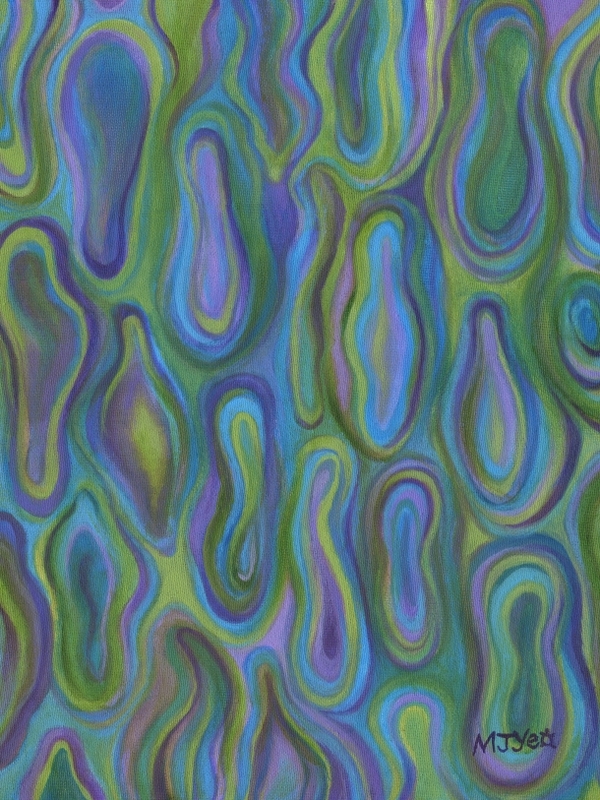 I had an image in my head of the cells in a leaf, but while painting it, I was also thinking about water droplets.